Deep Tissue: More than just more pressure? The words "deep tissue" get thrown around a lot without much explanation as to what it really means so many in the public think it just means more pressure. There is more to deep tissue than just more pressure. Here is my best attempt to explain what is meant by deep tissue. Deep Tissue (Targeted Bodywork): Uses slow and specific strokes to release muscular knots, fascial adhesion and chronic muscular tension. The hand, forearm, or fist are used to sink into the tissue to the first barrier, hook in, and wait for the tissue to release. This process is repeated until the knot or fascial adhesion has been released. Deep tissue is what I like to call "targeted bodywork"...working on a specific area or problem. Deep tissue can be uncomfortable at times but should not be so painful that you want to jump off the table. Sometimes I will ask you to take in a deep breath and slowly exhale when working an area. This helps you to relax mentally as well as physically. If you are tense and holding your breath because it is too painful then you and I will be working against each other. Many factors have to be considered when incorporating any deep work into a massage session. Some questions might be... 1) Are you taking blood thinners? 2) Do you have osteoarthritis? 3) Are you in treatment for cancer now or in the past? There are other factors but you can see why deep work is not good for all people even if they want it. 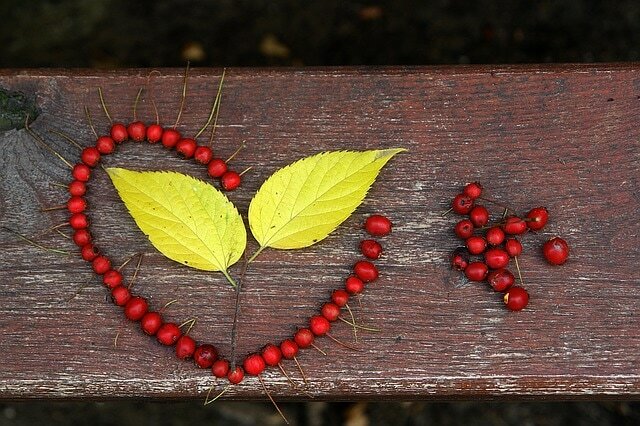 Just a side note: A Swedish Massage uses long flowing strokes generally towards the heart. Pressure can be light, moderate or firm. The main goal of a Swedish massage is to provide relief from stress and muscular tension by calming down the nervous system and soothing and relaxing tight muscles. Swedish massage increases oxygen flow in the blood and increases circulation.​ Swedish massage is perfect for those who come in for relaxation and stress reduction. I hope this helps you understand what Deep Tissue really means. You can always ask for a swedish massage with a side of seep tissue. If you have any questions on what type of massage would best benefit you lets talk about it at your next session. I will be more than happy to discuss the options with you. Suffer with Migraines: Help is on the way! This past March I took Kelly Lott’s Migraine Miracle® training class at our state massage convention and became a true fan of this modality. Due to a car accident when I was 18 (had trauma to my face and broken cheek bones) I suffer from severe headaches when the weather changes. A major storm was coming into Waco that day and I had one of my headaches. I was actually glad I had one so I could test if this modality worked. IT DID! I felt great the rest of that day, the next day, and the next. Did my happy dance! Also, the client I worked on was a migraine suffer to the point that she would have to take days off work when one came on. After receiving the treatment she commented on how light and open her head felt. Even without a migraine she could tell the difference in how she felt. Half the class were migraine suffers and when they all had the same type response...I was sold! 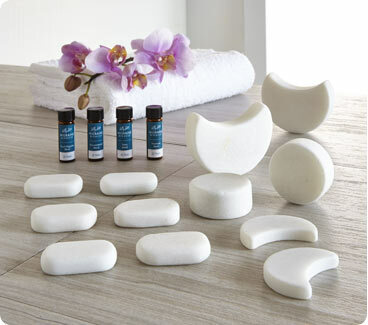 Cold Stone Therapy is one of three key factors in Kelly Lott’s Migraine Miracle® holistic fusion. These stones are specially designed hand-crafted marble. Their color and structure is particularly suitable for maintaining the 36° temperature recommended for maximum relief of swollen blood vessels. The stones fit strategic positions on the head and neck to relieve migraine pressure and pounding pain. 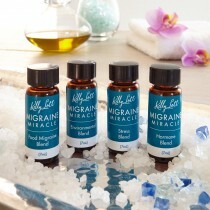 ​Kelly Lott’s Migraine Miracle® uses four custom blends of essential oils for the four most common headache triggers. The proprietary blends - Food, Environment, Stress, and Hormone - were created by a Certified Medicinal Aromatherapist and Blender. Only therapeutic grade essential oils are used in these essential our blends. 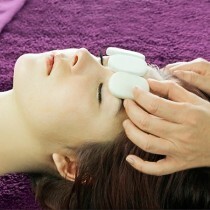 Performing specific pressure point massage techniques in conjunction with aromatherapy may result in relaxation and have a calming effect on the brain and blood vessels. Sounds good, doesn't it? Why not give it a try. When you feel a headache or migraine coming on give the office a call. I will do my best to get you in that day if I can. Housecalls available when you cannot make it to the office. Call for more information. Travel fee will apply (cost depends on miles). Massage Therapy vs Chiropractic – Do They Work Together? ​​Although they are two separate disciplines, both needing a lot of training, there are many similarities between chiropractic and massage, and they work really well when you use them in combination. If you feel like you’re under physical and/or mental stress on a regular basis, massage can be really helpful to you. It’s great for maintenance, getting rid of a build-up of tension in your body before it causes any damage that needs help from another professional. Chiropractic and massage therapy are also, importantly, natural, drug free, hands on therapies and they don’t have to be restricted just to after injury or when you’re in pain, it can be beneficial to have a session of chiropractic or a regular massage just to maintain your muscular and spinal health and stop problems from occurring in the first place. ​Most of us enjoy a massage to help us ease our tension and soothe away aches and pains. Elderly people can really benefit from regular massage, as it’s such an enjoyable and relaxing, non-invasive way to help manage the inevitable symptoms that go hand in hand with getting older. There’s no doubt that a regular massage has the potential to help improve your quality of life, and this applies to elderly people too. The positive effects of massage on the health of elderly people are well documented by research. It’s been proven that the gentlest of massages can benefit the circulation and nervous system, so if a gentle touch is required for more frail customers, it will still work just as well as a powerful sports massage would for an athlete. Geriatric gentle massage is known to help stimulate the circulation naturally and without causing any discomfort, so many older people are happy to give themselves over to the hands of an expert massage therapist when they are feeling tense and in need of healing touch. One important benefit of massage is that it doesn’t have any side effects and won’t interact with medicines that the elderly person is taking for conditions that often affect them (diabetes, depression, Parkinson’s, dementia and other common conditions.) In some cases, physicians have been able to reduce regular medications because of regular massage sessions. Elderly people often suffer from symptoms caused by conditions like arthritis, diabetes, heart disease and stroke. This can often leave them with limited mobility and poor circulation. On top of this, many elderly people can report feeling depressed or even lonely. Geriatric massage can help boost their physical health, but also relieve the depression that sometimes goes with it. It also gives older people access to comforting touch. There is even evidence that degenerative conditions like Parkinson’s have responded to regular half hour massages. How is a geriatric massage different? Geriatric massage uses some of the same techniques you’ll find in general massage, but tailored to the specific needs of elderly people. A geriatric massage is likely to last for less time than a standard massage session, as a long treatment can be too much for an older person. Most elderly massage sessions don’t last more than half an hour. We use extra gentle techniques; gentle movements are used that are designed to be soothing at the same time as improving circulation. This can be especially helpful if someone has a diabetic foot condition or has a build-up of muscle tension. Gentle hands and feet massage to sooth swollen joints, and relieve stiffness. Stronger movements, friction and pressure can be used with care to help improve flexibility in larger areas like shoulders. Massage is a lovely therapy that can be enjoyed by people of all ages – if you know someone who would benefit from massage, but thinks it’s not for them because they are ‘too old’ – treat them to a session and see if you can put the smile back on their face. ​​Are you the type of person who puts off getting a massage? You think that because nothing actually hurts, you don’t need to worry about it? Many people think the same way and then end up at the massage clinic feeling sorry for themselves with a painful back or an injury. Massage is wonderful if you do have an injury or are already in pain, but why wait until there’s something wrong before you take action? Massage can be part of your preventative therapy, a way to stop aches and pains from developing into anything more serious. Another cause of time off work is stress and/or anxiety, so you’ll be pleased to hear that a regular massage session can help you beat the build-up of stress and keep you calmer for longer. 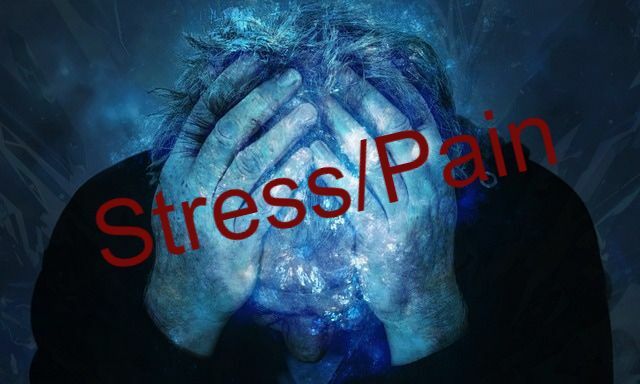 It’s well known that many conditions are either brought on or made worse by stress. Booking time out for regular massage therapy helps to lower your body’s cortisol levels and increase happy hormones serotonin and dopamine. It really puts you in a better mood. On top of this, it’s also thought that because a deep pressure or Swedish massage in particular help to get your lymph fluid moving, this type of massage can help boost your immunity. This means less coughs, colds and illnesses, which is all good. Have I convinced you to make a massage part of your regular routine? Of course, it’s not all about preventing illness or relieving pain, having a massage is a comforting and beneficial therapy in itself, and many people book their regular massage therapy sessions just because they know they will spring off the massage table with a smile on their face, feeling amazing. A regular massage is often considered to be a treat rather than a necessity. Most people believe that having a massage is good for aches and pains, or can help if they’ve overdone the exercise. Not everybody realizes that massage therapy is also a powerful painkiller that can even be used to help people with back problems to reduce the amount of medication they must take. Americans spend at least $50 billion each year on back pain and if you’re one of the 31 million Americans who suffers with back pain at some point in their life, you’ll know how miserable it can be. If you are dealing with chronic back pain – which is pain that’s lasted more than three months and less than six - it can impact your daily life and stop you from doing things you want to do. You could be reliant on drugs to keep you mobile or help you sleep. If you can no longer exercise pain-free, you might end up in a vicious cycle of inactivity which makes your pain worse, which stops you being active. Or, you could just increase your meds but that just masks the problem. Also, some strong pain meds contain painkillers (opioids) like codeine which can lose their power over time as you build up a tolerance to their effects. They can also have unwanted side effects. The participants all recorded their own pain levels before and after having massage therapy on a scale of one to ten. There was a significant difference between the pre-treatment and post-treatment pain rating in the group that had regular massage, but the control group who carried on as normal reported no changes to their pain levels. ﻿Swedish Massage or Deep Tissue Massage - Which Is Best For You? What’s the best massage for you? Sometimes it can be confusing – you know you’re stressed and everybody tells you that you need a good massage, but what type of massage should you get? There are so many options available, how do you know which one will suit you? That’s where your friendly massage therapist comes in – if you’re not sure, just call or drop in for a chat and we can help you find the perfect technique and style for your needs. If it’s your first massage we can put you at ease and make sure you know exactly what to expect. In the meantime, here’s the lowdown on two of the most common types of massage and what they can do for you. But first lets talk about Swedish massage. It is not just a fluffy type massage. Swedish massage consists of light to firm pressure strokes that move in a slow gliding motion. Light stretching may or may not be included. If you have a high stress level or suffer from anxiety swedish massage is for you. If you have trouble sleeping then swedish massage is for you. If you have high blood pressure, on blood thinners, or diabetes (to name a few) then swedish massage would be great for you. Oncology patients and the elderly can benefit from swedish massage because it reduces stress, anxiety, and promotes a feeling of well-being among other things. ​​Now let's talk about Deep Tissue massage. I think of this type of massage more as Therapeutic massage...when my client needs to target a specific issue or have tired, overworked muscles. In a deep tissue massage we manipulate the deeper layers of your soft tissue. Soft tissue includes your muscles, ligaments, fascia, and tendons (it’s pretty much everything that isn’t bones or organs). We use less lotion or oil, and work lighter at first and then move into the deeper layers of muscle. Going lighter to deeper is important because it helps relax the top layer of tissue and muscle, meaning less pain for you. Then the deeper layers of muscle can be worked on more easily and with less pain. This will feel much better and you will get better results. ​​Many think that deep tissue massage has to be painful to be effective. Many even like to feel the pain. They think "No pain, No gain". Not me....if that makes me wimpy then I wear the badge proudly. There are ways to work deep without causing the client a lot of pain. Some pain may happen but as a massage therapist I really try to stay in tune with my client and back off the pressure or technique I may be using so that my client can relax. If you tense up as I am trying to release the tension we are working against each other. So which type of massage is for you? Maybe a combination of the two? Call EmbraceLife! Massage @ 713-384-9793 to schedule the massage you need or fill out the contact form on the website: embracelifemassage.com (click here). While waiting at a local hospital for a friend to get out of surgery I met a delightful young woman in her 80's. As we talked her eyes sparkled and she smiled continuously. She used to own her own preschool. She talked about how much she loved each of those kids and how, to this day, she receives calls from many of them which delights her to no end. We only talked for 10-15 minutes before she was called away but she made such an impact on me. She told me how she gets up every day and gets fully dressed. She is not going to sit around all day in her pajama’s. Out the door she goes every morning to McDonald's to get her senior coffee (sometimes in the afternoon too). Then off to the YMCA to exercise. After the YMCA it is off doing errands or doctor appointments. But what caught my attention as she talked was her intent at each place she went...How can I bless someone today. Let's go back to McDonald's. She made it her intent to get to know the people behind the counter by name. And guess what...they know hers too. When she goes to the bank she used to take them donuts. Then one day in her conversation with the employees they mentioned donut holes were easier for them because they can just pop one in their mouth and go. Now she blesses them with donut holes. What a blessing a 10-15 minute conversation turned out to be. This precious women spoke into my life without even knowing it. She showed me how I want to live my life. I want to know the people behind the counter at McDonald’s by name. Well, maybe not McDonald’s (not a fan) but you know what I mean. I want to make an impact on random people’s lives through a conversation or an act of kindness. It doesn’t take much to pass a smile or a kind word to someone you pass. Or, an act of kindness like taking donut holes to the bank employee’s when you go there. But what if we approach the day (or the whole month!) with a focus on connecting with the people we care about. Not just your significant other, but your best friend that you never have a chance to talk to, or a relative you haven't seen for a long time, or a sister or brother. Consider trying one of the ideas below. Share some time with someone. Make a lunch date with your best friend, mom, aunt, sister, or an older neighbor who might not have anyone to share the day with. Appreciate someone. Look your husband, children, grandchildren, dry cleaner, grocery store clerk, school bus driver, etc. right in the eye and say, "Thank you. I can't tell you how much I appreciate what you do for me. You make my life easier, fuller, or blessed." Drop a card in the mail to a special person in your life. Or, if you have children, teach them to honor people in their lives like teachers. Have them make thank you cards to give to their teachers. Give the gift of massage. You can pick up a gift certificate at the office. Call me at 713-384-9793 to order yours. Massages are often sold as a purely indulgent treat that you can get when you visit a spa, but there is so much more to a massage than just a feel good treat. Did you know that the symptoms of many health problems can be reduced and even eliminated with regular massage? Here are just a few conditions that massage can work really well on; a few you probably know and some that may surprise you! Lower Back Pain: This is such a common problem, often caused by bad posture at work, so no wonder many employers are drafting in massage therapists to help. Poor posture and sitting for too long can cause a lot of lower back problems, as can simply getting older. Get your massage therapist on the case and you can hopefully wave goodbye to a sore back. Joint Stiffness: Massage can be a blessed relief for people dealing with the pain and stiffness associated with arthritis and other joint problems. Research published in 2013 in the Complementary Therapy in Clinical Practice journal said that people with rheumatoid arthritis reported some relief from pain and stiffness after four once-a-week moderate-pressure massages, topped up with self-massage at home in between treatments. Massage can also help with your range of motion and flexibility, which can relieve pain in your shoulders, knees, and hips. Circulation: There are a whole range of health problems that can be caused by bad circulation, so it figures that boosting your circulation will be a bonus for your whole body. Regular massage helps to get the blood moving, getting essential nutrients to where they are needed in your tissues and vital organs much faster. The squeezing and pulling actions involved in a good massage also help to flush lactic acid out of your muscles and improve the circulation of lymph - the fluid that carries metabolic waste away from your muscles and internal organs. Migraine symptoms: Nobody really knows what causes migraines, and there isn’t a cure, but if you’re a migraine sufferer you’ll be pleased to hear that studies have shown that massage can help reduce the frequency of attacks, and lessen the severity of the symptoms. Some migraines, especially those triggered by stress, are especially receptive to massage treatment. Cancer Treatment Side-effects/Stress: In CURE magazine Spring 2016 edition there is an article about hand massages being used to reduce anxiety and stress during chemotherapy treatments. Nurses at Holden Comprehensive Cancer Center, University of Iowa Hospitals and Clinics were included in this study and administered 5 minute hand massages to patients in the infusion centers. Patients commented how the hand massages helped to reduce their anxiety and stress and "made them feel like someone valued them as a person". Whether in treatment or post treatment massage can help lessen the side effects of chemotherapy and radiation such as nausea, pain, stress, anxiety, and depression.